so reboot with the latest nightly works for me, great! wifi does not work out of the box but I think 5.1 will bring this in? I guess the main issue is that I'm using a mac and cant see the filesystem, on rasperry pi/ rasbian I could see some part of the fs e.g. /boot and you could do something like touch ssh to enable ssh (which is on in armbian by default which is fine) but something along the lines for wifi would make it easier. I guess rasbian has some part of its system on fat32 and armbian is ext4 all the way or something like that? I guess you can install VirtualBox on your Mac and lunch a VM with Linux Live CD and could then mount the SDCard and edit /etc/network/interface . Everything necessary is built in. It's just a dd for u-boot and cp for kernel and dtb, and that's it. You don't even need /lib/firmware or /lib/modules. Hi guys! I'm still with my sore) Perhaps this log will enlighten the problem. Apr 18 20:26:57 orangepi3 systemd: Failed to start Load Kernel Modules. Apr 18 20:26:57 orangepi3 systemd: systemd-modules-load.service: Failed with result 'exit-code'. This doesn't seem to be a "untouched" image, since those modules are not part of the build. Did you install a specific applications or did you modified /etc/modules-load.d/modules.conf ? and this error will go away. Hi - could someone guide me how to apply vanilla kernels to de dev builds, eg 5.09 or 5.1-rc5 for the H6 OrangePi's please? Currently for OpiOnePlus still 5.07 is being used, TiA! Right, because Armbian is using Megous branch, and Megous branch didn't merge 5.0.9 yet. Armbian will switch to 5.1.y as soon as there is no more RCs, maybe in few days/weeks from now. (I'm using Megous 5.1.y branch locally). @martinayottewould it be possible to shared git diff for anyone else who would like to start experimenting with 5.1.y branch? would it be possible to shared git diff for anyone else who would like to start experimenting with 5.1.y branch? Prompt real to include linux kernel video gpu mali midgard opi3? And possible midgard to apply? 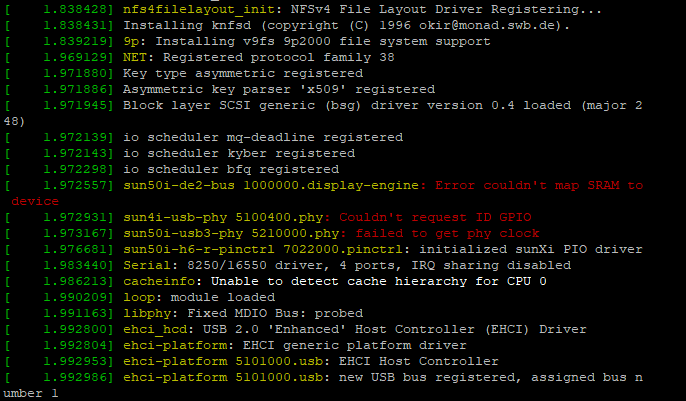 Is that possible to check if PCIe-to-SATA native controller (like the one based on ASM1061 chip) works? Does it work out-of-the-box or it requires driver rework? Is the rework even possible? Who could do it? I'm aware of a broken PCIe implementation. 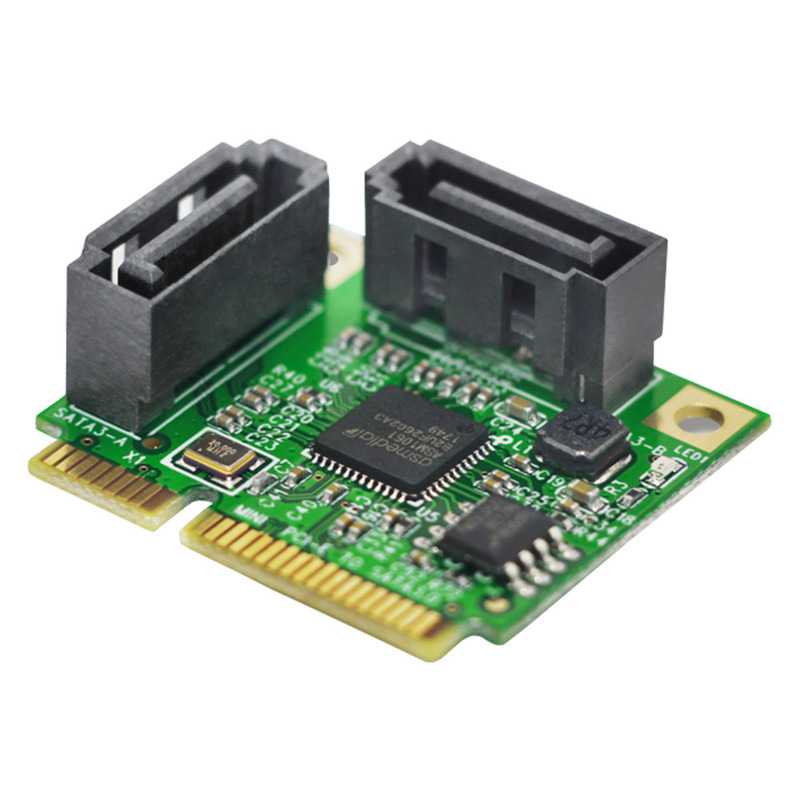 I think that such device in companion with SSD could be a perfect solution for Quad-Core A53 providing both performance and storage capacity. Why do you ask then? Its broken beyond repair. is this about my error?